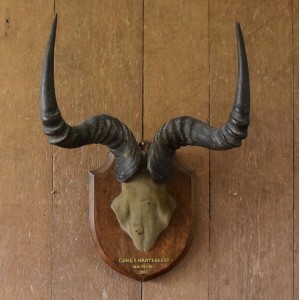 AVW Taxidermy London; Spicer, Rowland Ward, Gerrard, Cullingford, Duncan - Victorian, Edwardian shoulder mount specialists. 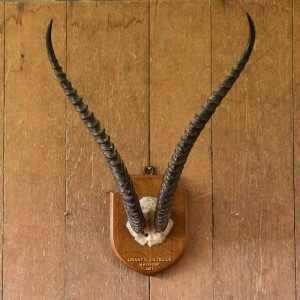 A stuffed oryx shoulder mount - late 20thC. In really good condition, nicely mounted and has a good expression! Very fine Grant's Gazelle by Edward Gerrard and Sons, Nairobi, 1911. Very nice pair of Coke's Hartebeest by Gerrard and Sons, Nairobi 1911. 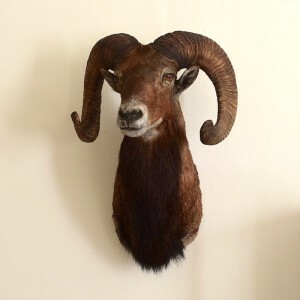 A really handsome and very well mounted European Mouflon. A really handsome shoulder mount of a Bontebok; A large southern African antelope found in South Africa and Lesotho. 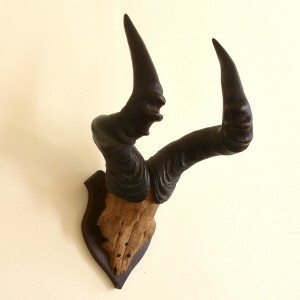 A late 20thC mount of a Black Wildebeest or White Tailed Gnu. 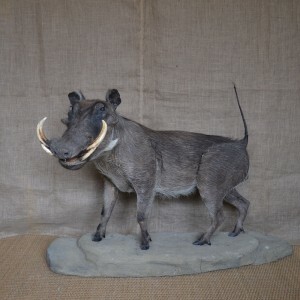 Late 20thC Stuffed Warthog - what a handsome brute! A beautifully stuffed domestic Rabbit - the taxidermist has done a very good job here!